Dimension Drive will be on display next 7th of April at Indievelopment Utrecht, The Netherlands. We are an indie studio based in The Netherlands, at the moment we are two programmers, and get help from artists and musicians as collaborations. We have been doing games before but this is the first shot at trying to release something more polished. 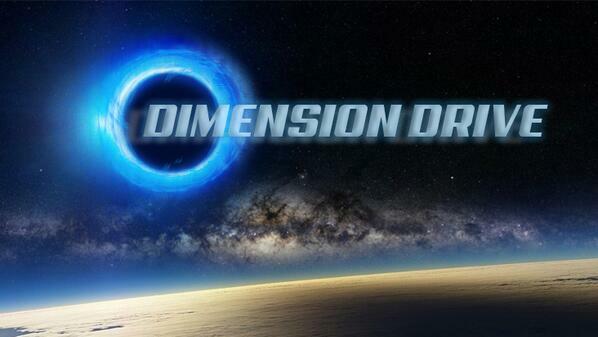 We intend to bring Dimension Drive to PC and Mac (possibly Ouya). Dimension Drive is a vertical space shooter with a twist. The current version of the game is in beta, so expect bugs and missing features. - The player has an energy bar in each of the sides. It uses this energy for firing. - Every time that the player fires energy is consumed from the bar of the current side. - If the energy reaches zero the player will die. - Killing enemies on one side recharges energy of the other side. - The player can “jump” from one side to the other. Doing so also consumes energy. With this basic concept what we achieve is that effectively the player is compelled to jump frequently and play the “two vertical (là j'ai mal orthographié "shmups" mais promis je ne recommencerai plus)” that are presented to him at the same time. This also opens the possibility to apply strategies on how to approach a level. For example, when confontred with many powerful enemies on one side the player may decide to flee to the other side or to stay and rack up more points (score system not implemented in this beta) and energy.